Microio is once again present at Gess México! The international Gess Mexico event will focus on innovation and technology solutions for education. Microio is once again present at the Gess México event that will be held in Ciudad del Mexico. Unicard solution will be the main focus of Microio’ stand. Gess México will be the ideal opportunity for Microio to present its technologically innovative management solutions. This year special emphasis will be given to promoting safety within schools by demonstrating the “Accompanied Call” module. The “Accompanied Call” module will work with a UHF antenna, a virtual tourniquet and surveillance cameras. Security within school establishments is a current priority in the Mexican market, and it is therefore necessary to reinforce solutions that promote effective management access and security of the enclosures. 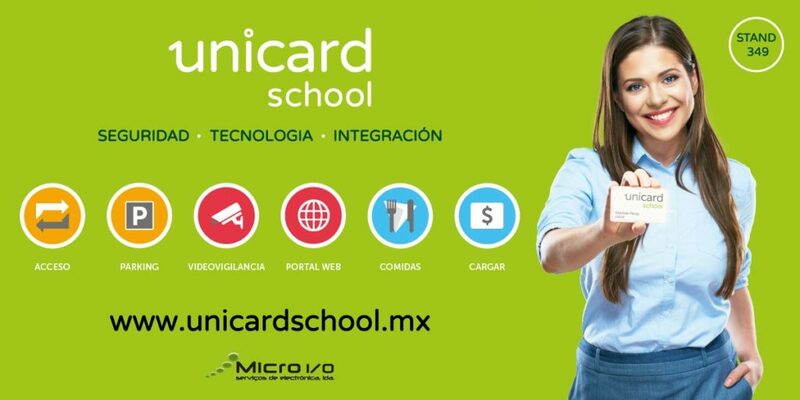 The web version of Unicard School will also be featured, with demonstration of the POS. Visit us at booth 349.